I love to read, and as I was recently surprised to find out, I love to read ebooks on my phone; the fit is just right. Which means, I love ebooks. 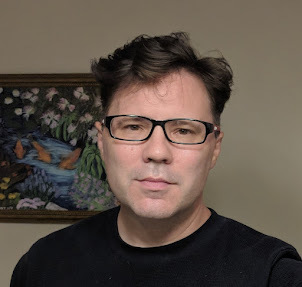 As an author of a few novels, with hopefully many more on the horizon, I'm interested in seeing my novels come out in this format. However, all is not rosy in the world of ebook publishing. It seems that Amazon, in its bid to sew up the industry, may be doing things that harm the author's ability to get paid a reasonable sum for writing (and an author's publisher, too). My being an author aside, this also means that in the medium- and long-term, these activities could impact the number and quality of books I get to read. Read the entire blog here. Looks like I have another reason to hope Apple's bookstore gets off the ground! I've got a story in the latest FR anthology, Realms of the Dead, called "Wandering Stones." Get spooked by Faerûn’s most chilling ghost stories! The millennia-old history of Faerûn is haunted with ghosts, vampires, zombies, and all other manner of gruesome undead. This anthology of all new stories is filled with the twelve most terrifying and lethal of these tales. From ancient lich kings to freshly turned ghouls; from disembodied hands to unholy, decaying angels, the dead in the Forgotten Realms® rarely rest in peace. 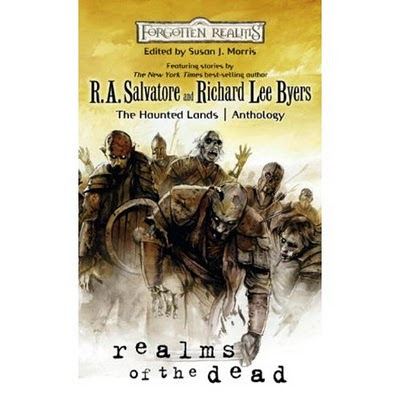 Realms of the Dead is an anthology of all new stories about the undead from The New York Times best-selling authors R.A. Salvatore, Richard Baker, Philip Athans, and Lisa Smedman; Forgotten Realms creator Ed Greenwood; fan favorites Richard Lee Byers, Bruce R. Cordell, Rosemary Jones, Erik Scott de Bie, and Jaleigh Johnson; and talented newcomers Erin M. Evans and Christopher Rowe. Myth of the Maker is now available!